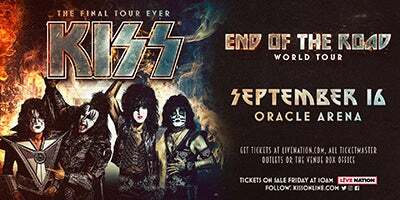 After selling more than half a million tickets at their initial on sale, KISS announced the second leg of their final tour ever set for 2019, appropriately named END OF THE ROAD! 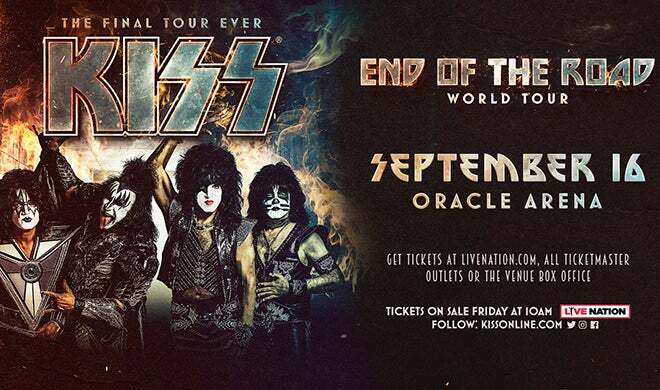 During their tour KISS will make a stop in Oakland on Monday, September 16. KISS will be offering VIP experiences and a special KISS Army fan presale. KISS Meet & Greet Experiences will be available Tuesday, November 27 at 10am through kissonline.com. KISS Army fan club presales will begin Wednesday, November 28 at 9am. Visit www.kissonline.com for more information. Tickets to the general public go on sale Monday, December 3 at 10am at LiveNation.com. Ticket Prices Starting at $39.50 plus applicable charges.